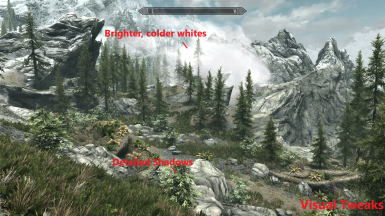 A very simple ENB preset and weather/lighting/effects plugin. 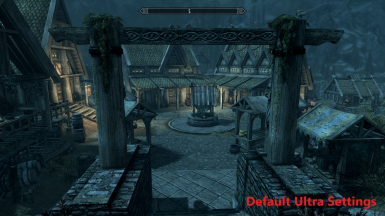 Removes many annoying effects and improves the look of the vanilla game. This is a simple tweak for people who do not want to change the look of the game too much or use a boat load of mods. 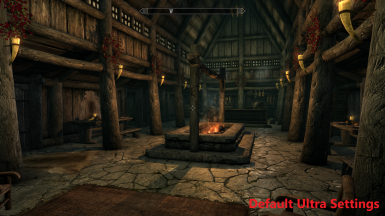 It is not compatible with any lighting or weather mod. 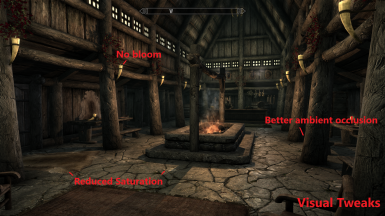 • Included ini file can be used to adjust saturation as you see fit, it's self explanatory. • The plugin requires the unofficial patch which can be found here. 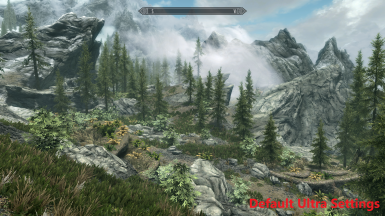 • The enb files require you to download the enb binaries which can be found here. • In the in-game menu, turn depth of field off.